Catching up with the global trend for the love of sake, Danny Leong has opened this space to introduce everything about sake. Leong is one of the first eight Master Saké Sommeliers by The Saké Sommelier Association (SSA) based in London, the first institute of its kind outside of Japan. Leong is fascinated with the tradition, history and technique of sake making. To him, the observation and interaction of the microorganisms involved in sake making is much more complex than wine making, where quality of grapes take the forward role in the result. The saké restaurant is located on the first floor of Block F in Plaza Arkadia. It looks like a shop front at first glance, with displays of information about sake courses from leisure learning to becoming a certified sommelier. Entering the glass door brings you to the restaurant on the lower floor of the duplex unit. Make sure to ask for a tour of the mini sake museum upstairs. The food menu is designed for consumers to appreciate what sake has to offer, with some dishes incorporating sake in the cooking. Sake is to compliment food and Leong doesn’t put it down as “pairing” like wine does to food because of the delicate flavour in sake. Try their tasting flights that are in a guided format, not led. Tasting notes are not provided or even suggested during the sessions, instead, guests are asked to express their thoughts and what they taste from the flights. 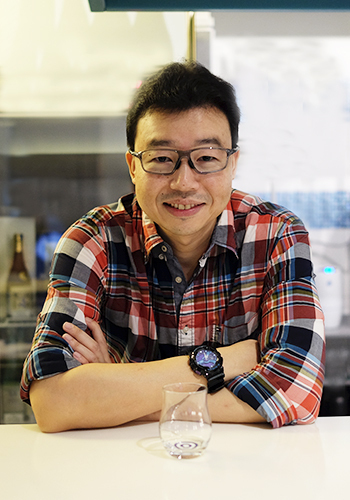 Leong believes that drinkers should trust their own senses and to remember the taste better by exploring the aromas and flavours themselves. Our suggestion? Go with an open mind, and don’t second guess your palate. Your newest all-whisky hideaway, located in Pavilion Hotel Kuala Lumpur. From the original Vintage and Reserve statements of the past to now creating age statement whiskies, this is what you can expect from the new portfolio. Why is can better than bottle when it comes to beer? There is always this perception that the quality of beer in a bottle is better than in a can. Let us briefly look at whether this is the case.